YOU LOVE HENRY Mancini. You might not know it but you do. If you have ever popped your lips through the opening bars of the theme to The Pink Panther or gargled a few of the words to “Moon River” in the shower, you have been grabbed by the Mancini groove. You’re not alone. Billboard magazine once ranked Mancini nineteenth on its chart of highest-selling album artists, putting him alongside Frank and Elvis and the Beatles and the Stones and lots of other acts that you could identify at a glance. Not so Mancini. I think there’s a picture of him on the front of John Caps’s monograph, though for all I know this is just any old guy with a low-parted comb-over, a noncommittal smile, and a tragic taste in plaid sweaters. Mancini’s name, meanwhile, is picked out in the kind of bouncing Day-Glo type they used for the credits of The Pink Panther. The accountant in me cannot help feel that the publishers should have gone the whole cool cat route and put a picture of His Pinkness there, too. Mancini may have sold records by the truckload, but his anonymous face, which might have been designed not to embody his singular sound, isn’t the kind to move books. Nor do you know Mancini much better for having read the book. Caps’s main resource for the details of his subject’s life is his autobiography, Did They Mention the Music?, a dull showbiz backslapper that Mancini co-authored with Gene Lees back at the end of the 1980s. But so what? Since all that matters about Mancini to those of us not married to him or fathered by him is his music, the dearth of material on his life ought not be a problem. Alas, Caps rather makes it one, by shoehorning biographical parallels into his readings of the most innocuous tunes. To hear Caps tell it, the yearning lilt of “Moon River” and the languorous ache of “The Days of Wine and Roses” are aural correlatives for the young Mancini’s “estrangement from his father,” while in the sly twang and drone and blare of the theme to, say, A Shot in the Dark “one can hear his mother’s reassurances and good humor.” Praise be, then, that Caps doesn’t think to link the “steady-stomping ostinato in E minor for bass guitar” that Mancini penned for Peter Gunn to the memory of the knuckle raps that pa meted out when little Henry fluffed his piano scales. From lessons at home, Mancini graduated to Aliquippa’s “Sons of Italy” marching band, as well as to teaching himself notation by listening over and over again to his parents’ few classical records and writing down what he thought he’d heard on hand-drawn manuscript paper. Dad was sufficiently impressed by this extracurricular work to pay for proper lessons with a famous German classical pianist in nearby Pittsburgh. But it was Glenn Miller’s big band sound that Mancini most wanted to ape, and while in the big city he snuck into the Stanley Theater to introduce himself to the resident conductor, Max Adkins. Bowled over by what the teenager showed him, Adkins took him under his wing, teaching him the basics of orchestration, as well as the etiquette of rubbing along in polite society. But it was the G.I. Bill that really gave us the Mancini we love. Without its backing he would likely not have been able to afford to study at the Westlake School of Music. There he attended one-on-one theory and harmony classes with Alfred Sendry, a former classmate of Bartok, and orchestration with Mahler’s son-in-law, the romantic-turned-atonalist Ernst Krenek. Anyone who admires Mancini’s score for Stanley Donen’s Arabesque, with its thunderously unsettling chromatic bass riff and its double harmonic (Arabian) melody line that can never quite settle on either A minor or G minor, should be thankful for what he learned at Westlake—and doubly thankful that he wanted to share it with us. If Bernard Herrmann’s scores for Hitchcock served to introduce many people to the discordant ideas of late romanticism, Mancini’s functioned to popularize the yet harsher sounds of Viennese modernism. Even the lovely waltz-time theme he wrote for Donen’s Charade, which finds room for an astonishing diminished C sharp arpeggio in it’s A minor melody, can pain as much as it pleases. And so, while Mercer was a door to the past, Mancini could not be a door to the future. Caps suggests that Mancini’s appeal during his heyday of the 1960s spanned the era’s musical gamut: whether you liked the Beach Boys or the Beatles or Burt Bacharach or John Barry, you were likely fond of Mancini, too. I daresay he is right, though none of those acts made a smooth transition into the next decade—the decade that put paid to the idea of the song as something carefully composed rather than just thrown down. At the end of the ’70s Mancini found himself writing the score for Blake Edwards’s 10, a movie about a songwriter who finds he can no longer write songs. The result was Mancini’s last melodic masterpiece, “It’s Easy to Say.” Which it may well be, although anyone reared on Mercer’s gorgeous litanies of long open vowels will find George Wells’s lackluster lyric, with its clumsy clutches of consonants and aspirants, far from easy to sing. From here it was downhill all the way. Mancini’s fans can be forgiven for thinking it a mercy that he checked out at the age of seventy, in 1994, a victim of pancreatic cancer. His career had fallen victim to the untrained giftlessness that rock and roll had unleashed. I like a power chord as much as the next man, but it is time we faced the fact that the language of songwriting has been impoverished immeasurably by the reinvention of the C-to-F-to-G-and-back-to-C ditty. Mancini liked to call his theme tunes question marks—pieces of music that made the audience ask “what’s going on here, and what’s going to happen?” They worked by wrong-footing the listener, by fooling you into thinking they were going to go one way when all the time they were sneaking over somewhere different. To be sure, the Beatles could work the same tricks, but that is because Paul McCartney was a genius able to instinctively decipher what generations of musicians before him had to have drummed—and beaten—into them at the coalface of the keyboard. 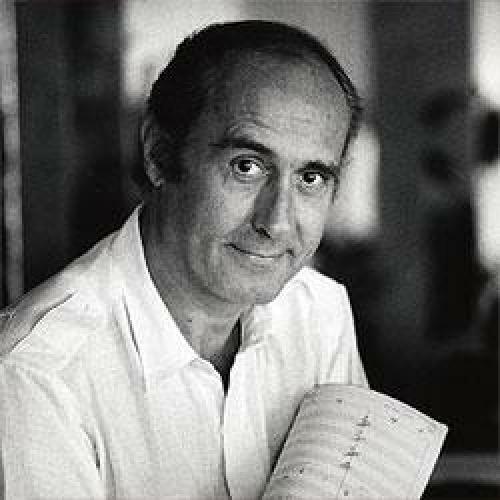 Henry Mancini was one of the last of them—a properly apprenticed craftsman who, in the right circumstances and with the right partner, could occasionally nudge at greatness himself. If a man of such enormous talent couldn’t sustain the traditions that sustained him, then aren’t we, like the Julie Andrews of Darling Lili, “whistling in the dark,” like the Audrey Hepburn of Breakfast at Tiffany’s “after the same rainbow’s end”—the one that isn’t coming any time soon? Christopher Bray is the author of Sean Connery (Pegasus). He is at work on a cultural history of Britain in the 1960s.